SAVE THE DATE – performances June 1-4! 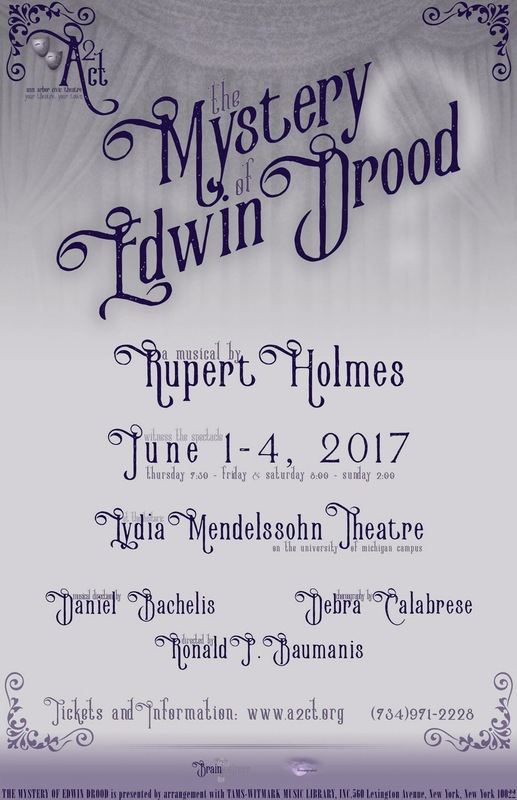 I have just learned I’ve been cast as Jasper in Ann Arbor Civic Theatre’s upcoming production of the musical The Mystery of Edwin Drood, directed by the marvelous Ron Baumanis with music direction by the talented Daniel Bachelis and choreography by the dynamite Debra Calabrese. The show is a Tony Award-winning musical by Rupert Holmes (yes, “The Pina Colada Song”) that starred Betty Buckley and Cleo Laine in its original run, and Chita Rivera in its recent revival. “Based on Dickens’ unfinished novel, this wild romp of a musical tells the story of a Jekyll-and-Hyde like choir director, his ingénue, and her fiancé. The interactive play-within-a-play leads from a Victorian music hall to a London opium den to a Christmas Eve dinner party, and asks the audience to help solve the title mystery.” Because Dickens never finished his tale, the musical (not unlike Clue) allows the audience to vote at each performance on who the killer may be, and each show has a potentially different ending! So excited! Jimmy Dee Arnold – DURDLES/NICK CRICKER, SR.
Peter Dannug – DEPUTY/NICK CRICKER, JR.
this sounds like perfect casting and i’m looking forward to seeing it ! thanks, friend! I think it’s going to be a riot! 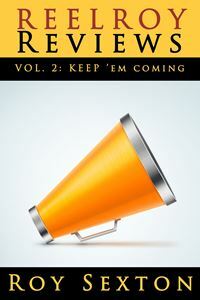 something to live for…can hardly wait!!! cannot go wrong with Charlie Dickens…or Roy Sexton!!! !